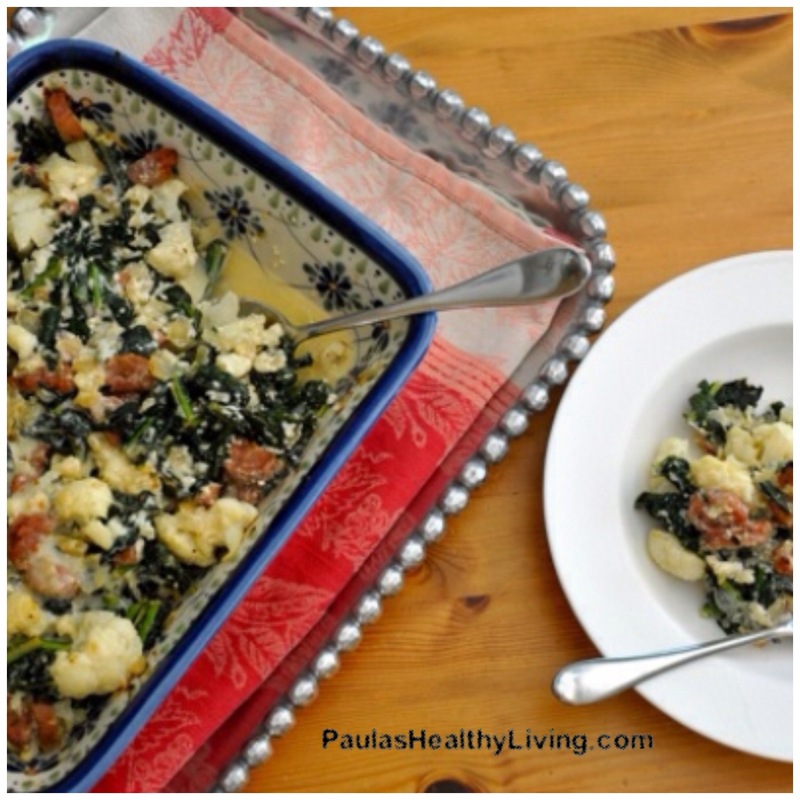 This yummy casserole tastes like comfort food, but without the guilt. Kale is a nutritional powerhouse, filled with calcium, and numerous vitamins and minerals. In a large skillet, over medium heat, sauté the olive oil, onion, garlic, salt and pepper, dried herbs and chicken sausage. Mix well, and then add kale. Cover for about 3 minutes, until kale gets bright green and wilted. Then remove the cover. Sauté for an additional 3 minutes until everything is tender. Set aside. Add the kale mixture to the pot as well as the chicken broth, lemon juice, ricotta cheese and half of the Parmesan cheese. Mix over medium heat until all has been incorporated. When trying to manage your weight and health goals you – as many people do- may try to change the way that you eat. You may decide to stay away from fried restaurant food and processed store-bought food to manage fat, sugar, and salt. But, a coffee shop specialty drink can cost you a pretty penny and end up being a calorie-bomb! An 8-ounce cup of plain brewed coffee or espresso coffee contains no fat and only 2 Calories. A Grande Peppermint White Chocolate Mocha has 520 calories which is the equivalent of 3.7 cans of Coca-Cola. A Starbucks. Green Tea Latte has 350 calories or the same calories of a medium McDonalds French fry. 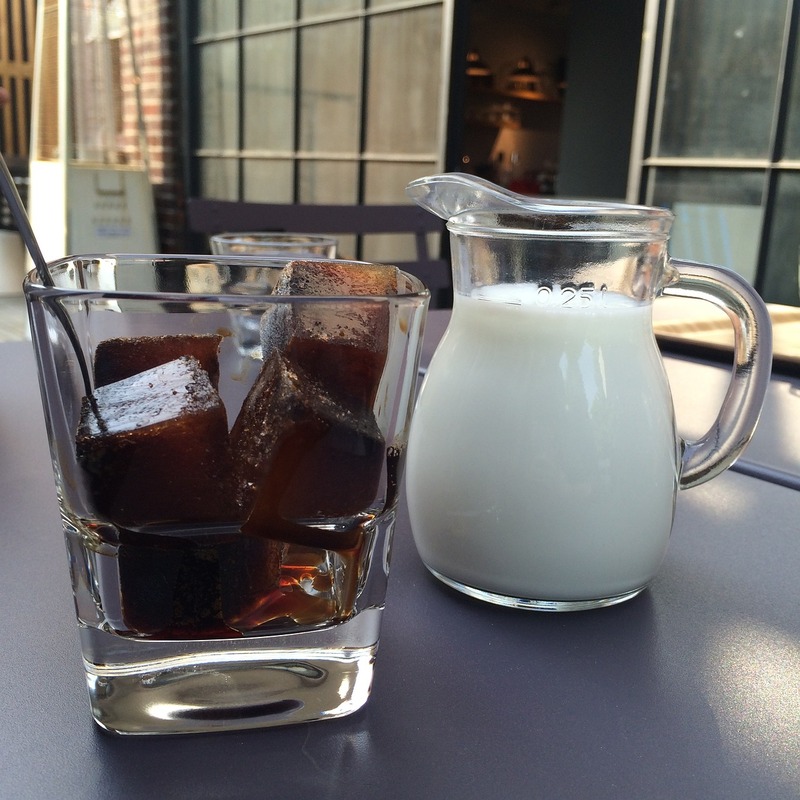 Cappuccino and latte coffee both contain large amounts of milk. The most common milk choices are full cream, skim, or soy. Full cream milk contains about 66 Calories and 3.9g of fat. Skim milk contains about 34 Calories and 0.1g of fat. Soy milk contains about 35 Calories and 2g of fat. Most flavoured coffee and gourmet coffees contain coffee syrups in caramel, vanilla, hazelnut, chocolate, or other flavours. Each pump of syrup adds about 20 Calories or a tablespoon is around 50 Calories. 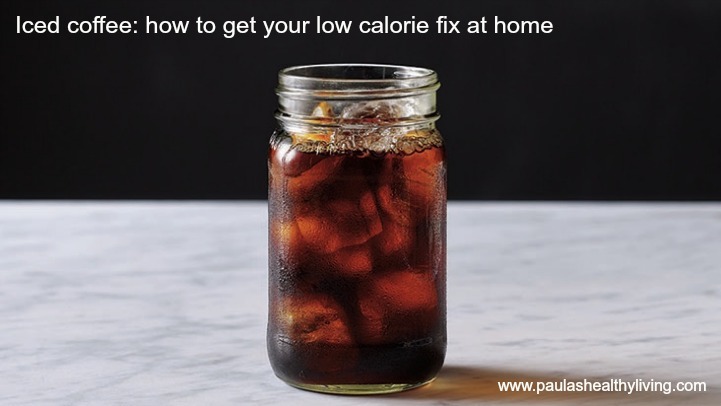 Some drinks contain as many as 4 tablespoons (200 Calories). Sugar-free syrups are available and these add no calories or fat to a drink. 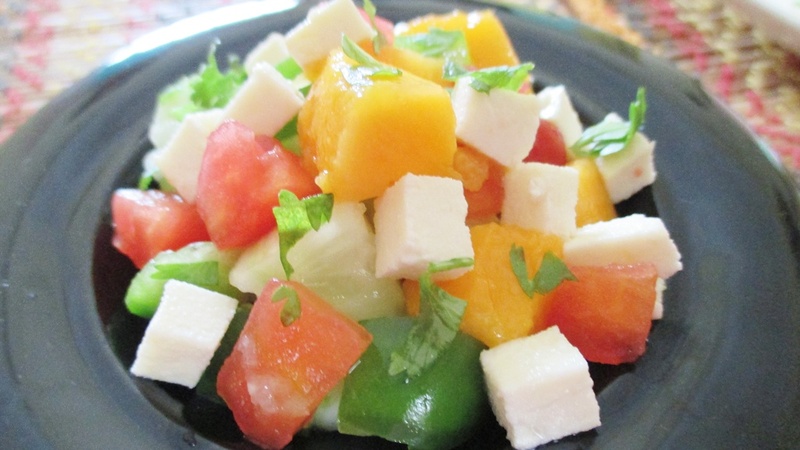 Mango cucumber pepper salad is a very colorful summer comfy salad. Mango which is the main ingredients in today’s salad is a member of the drupe family. Olives, coconuts and dates are also types of drupes. They have a creamy sweet taste and enriched with 20 vitamins and minerals. 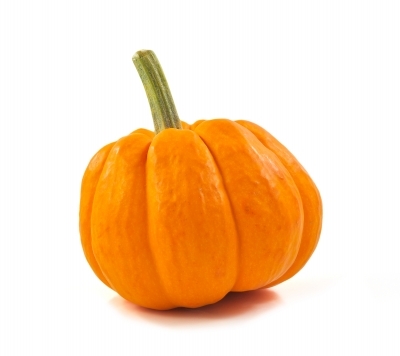 are also rich in copper, calcium and iron and antioxidants such as beta –carotene and zeaxanthin. Eating mangoes also decreases the risk of obesity and heart disease and promotes overall health. 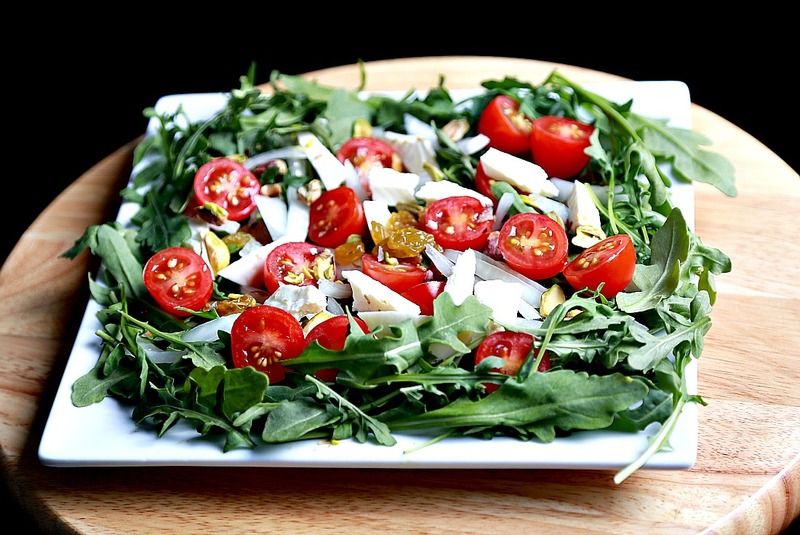 So add on to your health with this super delicious, healthy colorful summer salad. Summer is finally here, and it’s becoming troublesome to use the stove, and the oven. Therefore, today I brought you a quick salad that is easy to prepare, very fulfilling, and satisfying, and no stove needed! This salad has all flavors that you love. It is naturally sweetened, tangy, and a little bit salty! It has the the crunchiness of arugula, and pistachio, and the softness from cheese. This salad is very healthy, it’s a complete meal. It has the protein you need from white cheese, its has the vitamin C in tomatoes, it has the minerals from arugula, and healthy fats from pistachio. 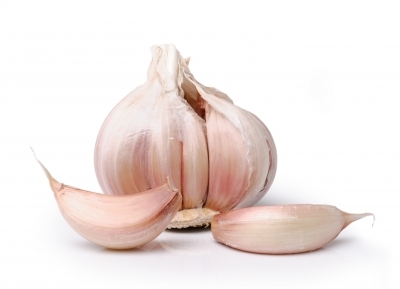 Moreover its an immunity booster with onion anti-inflammatory proprieties. The ingredients are easy to find! And you can substitute them. 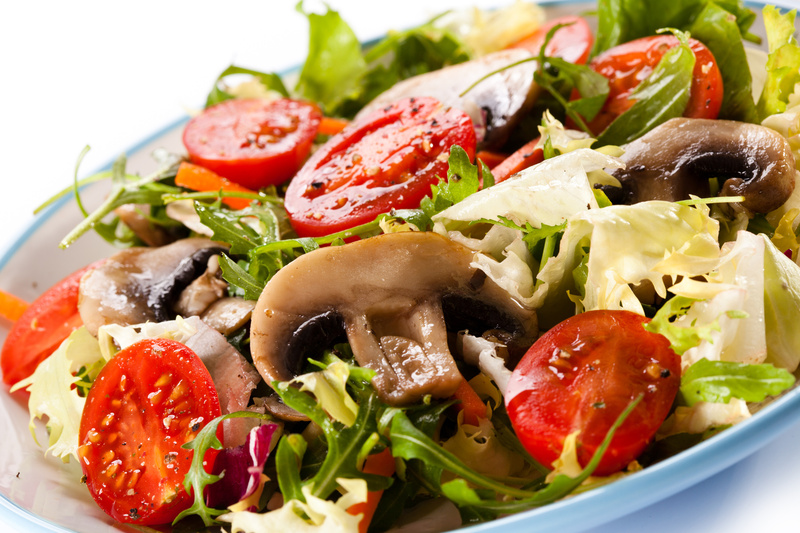 It is best to make this salad and serve it immediately, so you don’t lose any nutrition value. So summer is here and one of the most important things we need during the long summer days is to stay hydrated. But there are places in the world where summer never goes away. Take my home town Mombasa for instance: the temperature is above 95 degrees most of the year. I am about to give you fresh drink recipes and their benefits that you have not read in any blog before. These are healthy drinks that are easy to make and are so soothing that you are going to thank me for this. Remember, where I come from food is mostly prepared by instinct and no exact measures are available a lot of the time. So please add ingredients based on your own taste and use HONEY or any other healthy sweetener to your taste. 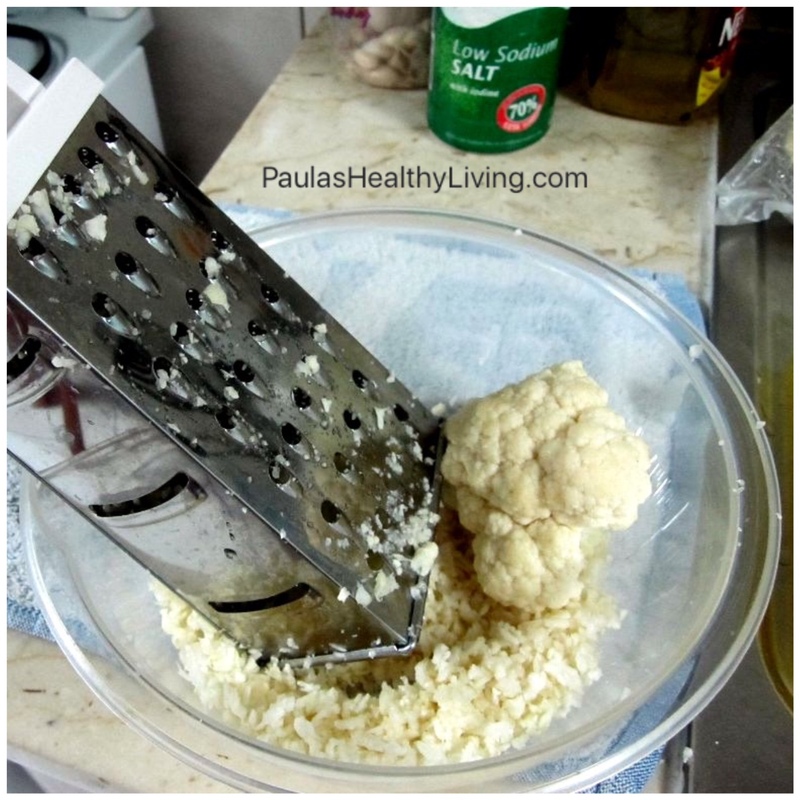 The best way is to use a juicer, if you don’t have one just blend and use a sieve. Blend the mixture together with 250 – 300 ml of water. The combination of carrots, apples and garlic consumed for 21 days, is believed to help clean toxins in the body and increase the body’s overall strength. This juice is definitely worth trying. It is believed to be an anti-oxidant, cholesterol killer, stomach cleanser, and a headache remedy. Your food is boring! 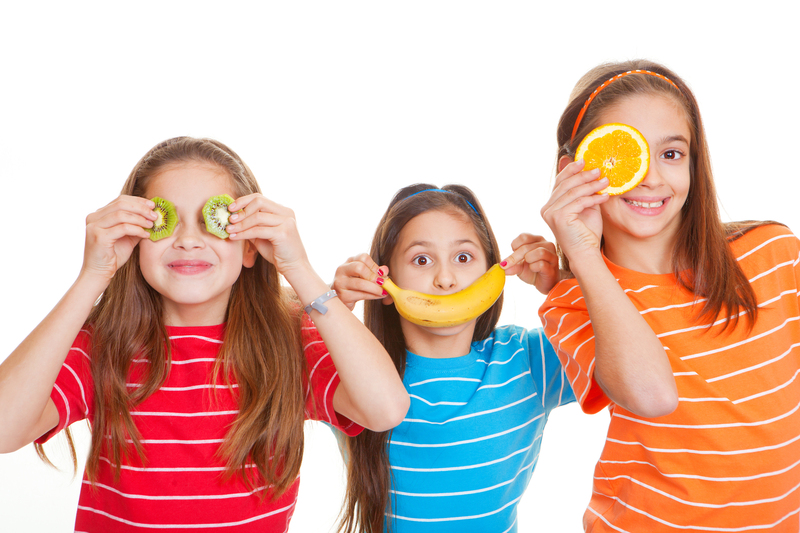 As we get bogged down with life and bills and our responsibilities we forget that kids are new to almost everything and it’s our job to introduce healthy foods in a fun and exciting way. Play with your food! If it’s not fun, kids won’t like it.